I said this last IMM, but I'll repeat it again for any newbies who might be participating in Busting the Newbie Blues (are you not participating yet? Come join the fun!). Whenever I see people's mailboxes and I look at what they got for review, I'm always curious HOW they got them, especially since I feel sorta like I'm stumbling around in the dark without a map when it comes to acquiring review books. Did they ask for them? Did the books magically appear on their doorstep? Are they e-books? HOW DO I GET THEM??? Ahem, so in case anyone else is wondering the same things, I am going to write how I received each review book. Hopefully this will help clear up some of the mystery surrounding the sometimes seemingly mystical appearance of review books. Please note: I am NOT offering advice on how you should go about getting review books. I'm only sharing what I did. Really, I'm so far from knowing what I'm doing that I can't give advice. This book appeared unexpectedly, but I'm pretty sure I got it because I filled out a request through an ad in Shelf Awareness. I'm iffy on it because I'm sort of freaked out by the idea of cyborgs and androids and similarly mechanical people. But, I have read many good reviews and I DO harbor strong positive feelings for Star Trek's Data (though not The Borg--they hurt Picard! You do NOT hurt Picard! ), so I'm wary but game. The cover totally grosses me out though. How do you make feet more puke-inducing? Stick creepy mechanical parts in them! This is a retelling of Daphne du Maurier's amazing book Rebecca. I first heard about New Girl after reading Melissa from One Librarian's Book Reviews' EPIC list of classic retellings (posted for the Classic Double Challenge she's hosting). I am a gigantic hand-waving fan of Rebecca so I jumped all over New Girl when I saw it offered on NetGalley (look for it under HarlequinTeen). I've since read it and I am impressed. Fans of Rebecca and Adele Griffin's Tighter will probably want to check it out. Thank you Feiwel and Friends, HarlequinTeen, and NetGalley! I won both of these from the amazing Aylee from Recovering Potter Addict. Thank you so much, Aylee! I'm really curious to see what I think of this guy Patch I keep hearing about. I don't have a photo, but I also won a TON of bookmarks from Splash of Our Worlds. Thank you! Most of the bookmarks are in Greek, so I'm not really sure what they say, but that's half the fun! The biggest hits have been Diary of a Wimpy Kid and Eclipse in Greek. I read the first chapter and LOVED it, but then I decided to return it to the library. Crazy right? But there is a method to my madness. Shadowcry is the first book in a series...a series that isn't published in full yet in the US. I get the feeling that I am going to love this series (maybe even Special Shelf it? ), so I'm going to wait until all of the books are available. I wish I had waited until the rest of this series was published! I am so completely in love with Legend that I'm having a hard time cobbling together a review that isn't a total gush-fest of OMGLOVELOVELOVE. This is an adult book, but I don't think there was anything too inappropriate for YA readers (except for the whole problems with consummating their marriage thing). I liked it a lot, but it's definitely Historical fiction with a capital H. 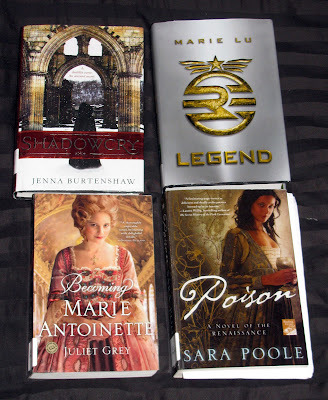 ...I liked Poison enough to order the next book from the library. Now I just have to find the time to read it! *Sorry I don't have photos for these other library books. I need to pick up batteries for my camera. I've been meaning to read this book for SO long (ever since my frantically fangirling review of The Iron Queen), but I just never seemed to have the time. Now I got it through the library. Hopefully with a due date looming, I'll finally pick it up. I ADORED the first book StarCrossed and I've been dying to read Liar's Moon ever since (even though it didn't even end on a cliffhanger)! I can't wait to dive into Digger's story again. I read Cleopatra Confesses by Carolyn Meyer and I enjoyed it a lot (except for the fact that it ended before all the good stuff really happened), so I've been wanting to read another one of her historicals ever since. I picked well with The Bad Queen. I loved it! I hope you love Iron Knight! I did. I want to read Becoming Marie Antoinette. What percentage of books do you read that are adult books? I'm not sure for me. Maybe 30-40%. I love Hush Hush and Crescendo!! I just won Silence and i can't wait to read it!! I hope you enjoy everything. Come check out my IMM! I still need to read The Iron Knight. I keep putting it off because I'm just not sold on reading something from Ash's point of view. Looking forward to your review of Cinder! I've heard a LOT of good things about it! Here's mine, if you're interested. You got so many good books this week. I'm looking forward to your thoughts on all of them. I just got Cinder this week, and I'm really excited to begin it. I personally love the cover, but I can see your point. You might like the final cover (slightly) more. They smoothed everything out a bit and the mechanical parts are a little less mechanical. And Legend! I'm go glad you liked it! 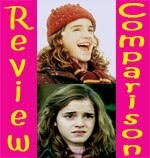 I'm struggling a bit to write a review too. It was such a great dystopian, partially because it was different from all the other dystopians out there. I'm so excited to see your review. I also got The Iron Knight this week. I'm looking forward to reading from Ash's point of view, and I think I might like his story even better than Meghan's. And yay, Elizabeth C. Bunce! I told you how much you are going to love A Curse Dark as Gold, and I can't wait to read her other books. I can't wait to see what you think of Liar's Moon. 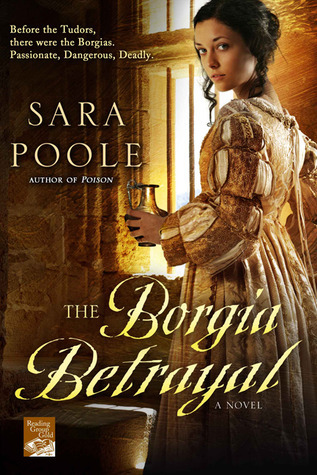 I wanted to read the books about the Borgias. I'm addicted to watching the show with Jeremy Irons as Pope Alexander. I'm putting myself on a book diet, until I finish what I've got on-hand at the moment. What a great haul, though! I've seen so much buzz for Cinder this week... there's no getting away from it. I'm just about to start reading Becoming Marie Antoinette so I'm glad you liked it. I've also wanted to read a Carolyn Meyer book for ages. I'm sure you will like Cinder because the reviews have been excellent. I know what you mean about the off-putting cover, though! I'm reading Cinder at the moment. It's really good. Legend is in my reading pile for this year. Cinder is made of AWESOMEANDOTHERTHINGS. Seriously, Small, it's this jumble of so many different things but IT WORKS. It's, like, a mash-up of dystopian, sci-fi, paranormal, and all with an Asian element to it. It's everything it says and even more! I think you'll get passed the creepiness factor relatively soon once you start it:) I have New Girl too and I'm getting ready to read it pretty soon. I really liked Hush, Hush. Mostly because of Patch. But I felt like... it should've ended after that, even with the loose ending. Just because I got this vibe that the series was going to be dragged out into something UNlikeable. Maybe I'll give the second one a try, anyway, though. Congrats on winning!! Great minds, apparently, think alike, because we both picked up Shadowcry. Only I haven't read it AT ALL yet. And I'm glad to hear you LOVED Legend, because I've been really curious about it! Also, what in the HECK have you been waiting for, neglecting The Iron Knight? Even though, in my opinion, it wasn't as good as TIQ, it makes a fantastic conclusion! Oh, and I picked up Starcrossed as per your constant chatting about it everywhere. Hopefully I'll love it as much as you! Have an amazing reading week, Small! Don't be freaked out. It's really, really good! And Cinder is mostly mortal, honestly! She's not a mechanical person :) You'll understand if you read it! And...well...she lost her foot, so a mechanical one is better than none, right? I have NEW GIRL to read from NetGalley as well. I'm excited! I don't...particularly care for Patch, but I hope you'll love him. I wish I did...the covers are SO gorgeous! Greek bookmarks? They sound AWESOME! 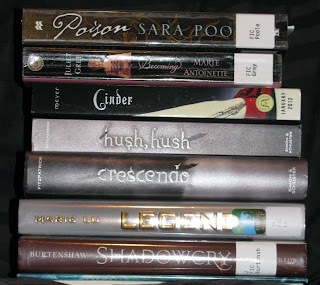 If you're like me, you'll be running out to buy LEGEND after reading it from the library! I still have to review this...I know what you mean about not being able to put together a good review b/c your brain is bushie! I still need to read STARCROSSED before I can read LIAR'S MOON! I loved Cinder! I am a big fan of science fiction and fairy tale retellings - this was both. I got my ARC from Feiwel & Friends for review. Check my blog on Monday for a chance to win the audiobook. I have heard just the beginning and it sounds awesome. I am going to have to add Legend to my wishlist. I have heard so many great things about it. I might have to wait until more of the series is done though. My TBR stack is currently out of control. My YA mailbox is here. Happy reading! I got New Girl also. I can't wait to read Cinder. I've heard good things. Check out my IMM! I love your idea of explaining where your review books came from! I'm also really curious when I see those large ARC hauls! Didn't know about the Borgia Betrayal! I must have it! Thanks and enjoy your books! Read a lot of praise for Cinder. Even though I totally understand your cyborg-related fears, I think it's intriguing.. Overall, great books this week! I still have Legend on my TBR list and seeing you so excited I should get to read it asap! I hope you'll love New Girl - I enjoyed it sooo much! I'm going to read Cinder this week. it's been on my TBR and I'm determined to get to it! I'm putting aside my reviewer voice and jumping in. Here's to you, Small! Awesome haul! Hope you enjoy all the pretties. Cinder was amazing! Cinder was simply amazing! Hope you'll enjoy it! I'm really excited to read Cinder, but I've always liked science fiction. Though... I don't think I've ever read cyborg romance. But I've heard that Meyer pulls it off. And I'm excited to read Legend as well! Looks great! I don't know how you'll like the Hush, Hush series. I loved it, but I don't know if you will. And Silence the next book is so AWESOME! You'll have to read that one if you like the series. I got Starcrossed on your recommendation. I'll get Liar's Moon if I like it. It was cheap on Amazon Kindle :) Plus you really liked it a lot! I want to read Legend. Soon! Oh my gosh, I just got Cinder and I can't wait to read it! I'm going to read it tomorrow and have it finished by tomorrow night, I guarentee it. I also read the Iron Knight, it made me cry! Thanks for sharing how you got each book, Small! LOL, I always wonder that too when I see books in other bloggers' IMM posts :D I'm interested to see what you think of Shadowcry - it looks like it might be my kind of fantasy read! You got some awesome stuff. I got both New Girl and Cinder in my TBR pile and I can't wait to dig into both. I don't think I've actually read Rebecca but if I like New Girl, I might! Thanks for sharing your IMM! 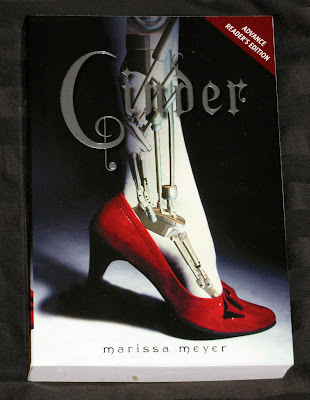 I SO want to read Cinder! :) I seriously have seen nothing but good reviews for it. Hopefully you'll like it! And thanks for sharing how you got each book. 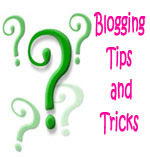 :D It's very helpful to me, because I'm so confused as to how all these other bloggers get so many books! Goodness, quite the haul. I've got to read Legend. And you should like the Iron Knight. Have fun! I'm reading NEW GIRL right now and I like it, but I was having a more difficult time getting into it. I think because it alternates female narrations. Once I get back into my groove, though, I think it'll be great. Alison, I hope I love The Iron Knight, too! I have a feeling I will. I liked Becoming Marie Antoinette a lot, but I think you really need to be an Historical fiction fan and maybe even a non-fiction fan. Hm…it used to be I read probably about 50/50 adult, but ever since blogging it’s dropped off to probably 10% or less. Paige, Oh good! I hope you love Silence as much! Natalie, I’m sold on Ash’s POV, but for some reason I keep putting it off too. I even think I’ll like it, so I’m not sure what my hang up is here. Pica, Oooh, I can’t wait to read your thoughts on Cinder! If you like it, then I’ll probably like it. I see what you mean about the finished cover. It is a lot more smoothed out. I’m so excited to see your Legend review too! It really was a standout book. I think I might like Ash’s narration better too. I’m really not upset at all at the idea of a Meghan-less book. Yay for Elizabeth C. Bunce!! Bookish Hobbit, All you really need to say is Jeremy Irons and I’m interested :) The Borgia books portrayed the family A LOT nicer than history does (and I imagine the tv show) . Madigan, I think I need to get myself on that diet as well. There really is no getting around the Cinder buzz. I feel like that’s part of the reason I’m so reluctant to read it. Buzz kills my interest. TG, I hope you like Becoming Marie Antoinette! Like I said to Alison, it’s very detailed, almost non-fiction. I definitely recommend the Carolyn Meyer version, too. Oh good, I’m glad I’m not the only one who doesn’t like the Cinder cover! Karen, Aw, “ex-blogger” :( I’m glad you’re still around and commenting. Please read Legend soon! I think you’ll like it. Asher, Everyone Is loving Cinder so much! Ok, ok, maybe I’ll cave :P I know what you mean about the bad vibe for the sequel. Sometimes I’ll only read the first book in a series just because I loved it so much and I don’t want to taint my reading experience with a less than fantastic sequel. 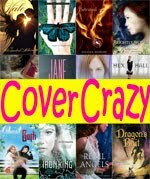 If you read Shadowcry, let me know if it ends on a cliffhanger? I can’t deal with getting involved in another open-ended series, especially one that seems to good. OH MY GOSH. YES! Read Legend!! I’ll be shocked if you don’t love it. I don’t know what I’ve been waiting for with The Iron Knight, really, I’ve had it in my hands so many times and I still haven’t read it and I have no idea why. I hope you love StarCrossed! Kathy, It sounds like Cinder really pulled off the sci-fi/fairy tale mash up well. Please do add Legend! It was great, I thought. I understand wanting to wait though. Especially since the ending is closer to a cliffhanger than not. Katrina, I hope you enjoy New Girl! Roro, Thanks for stopping by! Dazzling Mage, I’m intrigued too. Hesitant, but curious. Cialina, Thanks! That’s exactly what I was going for. Danny, OH MY GOSH DANNY! You MUST read Legend! I can see you loving it. Day is so worthy of swooning :) I did love New Girl! I can’t wait to read your review now. Ruby, Hm…is your princess link tingling? Because *I* am planning on reading Cinder later this week. Lauren, I don’t think I’ve ever read a cyborg romance before either! Oooh, Legend is SO good! 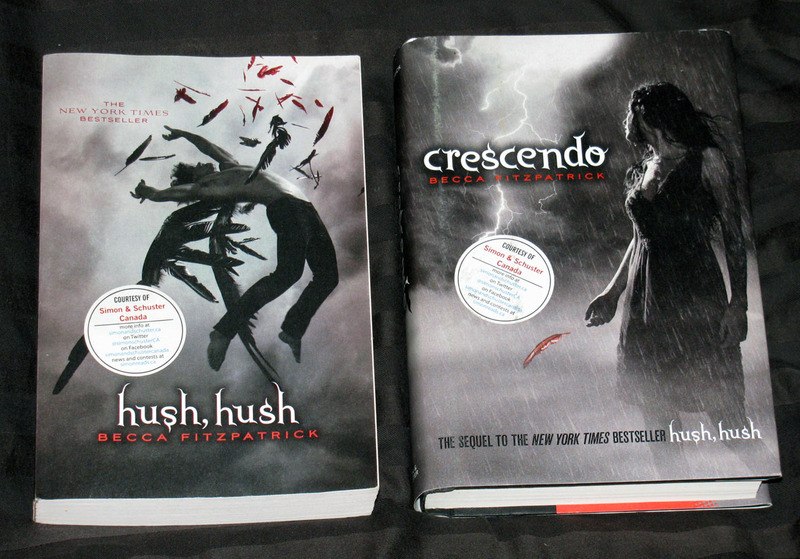 Heather, I’m not sure how I’ll like the Hush, Hush series either. I do love the covers :P But I’m willing to give them a shot. My sister really wants me to read them too (and she also wants my copies!) Good to know that the third book is very good. I hope you love StarCrossed as much as I do! Ooh and please do read Legend! Fantastic! Danya, hehe glad to hear you wonder too :) I decided to send Shadowcry back unread. It looked SO good that I’d really rather just wait until the whole series is published so I can read it in one shot. Alex, I can’t wait to hear what you think of both of them! 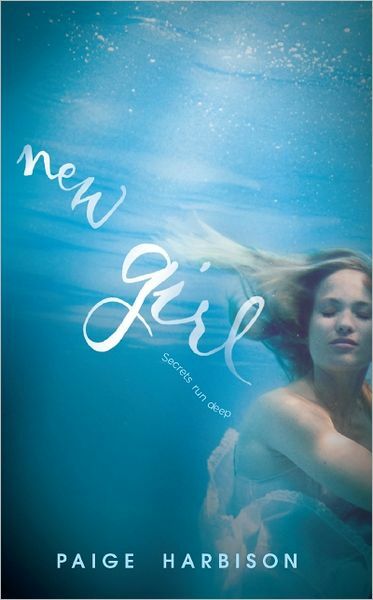 Rebecca is awesome, but I’m curious to see what you’ll think of New Girl having not read Rebecca first. Kat, I know, every single review for Cinder is glowing! I hope you like it too! Oh good, thank you for your feedback! What you said is exactly what I was hoping to achieve by sharing how I got the books. Jen, The alternating narratives threw me off for a while too, especially since the originally doesn’t ever show anything from Rebecca’s perspective. It was really out of left field, but once I got used to it, I really enjoyed that peek into Rebecca’s side of things. I’ll keep an eye out for your review! I am also curious what you'll think of Patch. I know I wanted to throttle him six ways to Sunday, but it seems like he is largely loved and swooned over by the majority.